Driver’s Alert is one of the pioneers in decal-based driver observation, going all the way back to 1989. Our thorough motorist interviewing process was developed in partnership with local law enforcement. It’s so extensive and methodical that we actually screen out 60-70% of all calls. 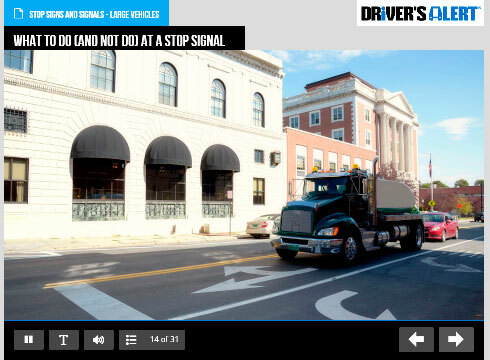 This meticulous validation process ensures you receive accurate driver behavior data, making the program the most cost-effective solution for identifying unsafe drivers before an accident occurs. 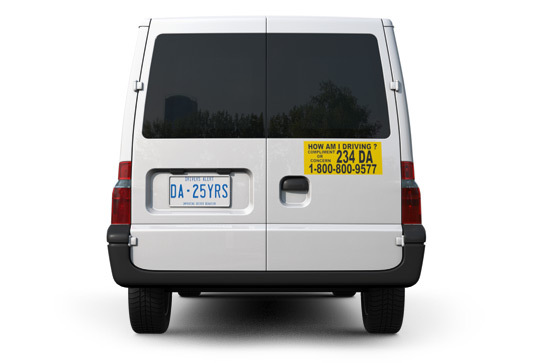 Our decals employ easy-to-remember, easy-to-dial, fully numeric 1-800 phone numbers. Each incident report is audited for authenticity before being submitted to the fleet or safety supervisor for review. Peace of mind that we do it right. We field 500 calls per day. Don’t try this yourself! US-based call center operating 24/7/365 – Calls answered on the first ring 90% of the time!